As the final part of our three-part blog Bankruptcy Glossary: Overview of Bankruptcy Terms, below are some more commonly used bankruptcy terms defined. If you are ready to receive some specific professional advice regarding your best options for debt relief, Denver Bankruptcy Lawyer Arthur Lindquist-Kleissler is ready to meet with you. 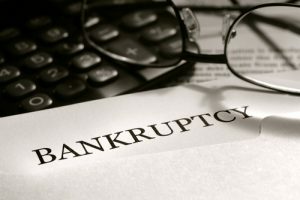 While this bankruptcy glossary can be helpful, contact Denver Bankruptcy Lawyer Arthur Lindquist-Kleissler for specific info about your case. Discharge – The official release from the obligation to have to repay a debt. When people successfully file for bankruptcy, some of their debt (such as their credit card debt, medical debt, mortgage debt, etc.) will effectively be discharged, meaning that these people will no longer be responsible for repaying it. However, it’s important that people filing for bankruptcy realize that not all of their debt can be discharged through this proceeding, as some debt (like, for instance, student loan debt) will persist despite a successful bankruptcy case. Exemptions – The property that will not be included in the bankruptcy estate (and, therefore, will not be subject to liquidation to repay creditors). Bankruptcy exemptions are clearly defined by state and federal bankruptcy codes; however, in Colorado, people who file for bankruptcy are required to use the state exemptions. Some property that can qualify for exemption (depending on its specific value) may include borrowers’ homes, cars, tools for work, jewelry, etc. Joint petition – A bankruptcy case in which two spouses co-file for bankruptcy. When filing for bankruptcy jointly, some bankruptcy exemptions may be doubled. Liquidation – The process of selling off a debtor’s property in order to repay creditors as much as possible. The property included in a liquidation is all of the assets in the bankruptcy estate, and property that qualifies for exemption will be protected from liquidation. Means test – The official terms used to evaluate whether a borrower qualifies for Chapter 7 bankruptcy. As part of this test, borrowers are required to earn no more than a certain amount of income; if they earn more than this amount, then they typically have to file for Chapter 13 bankruptcy for debt relief. The requirement to pass the means test prior to filing for Chapter 7 was initiated to curb potential abuse of Bankruptcy Code (in that it was meant to prevent borrowers with sufficient income from filing for Chapter 7 to avoid paying debt).